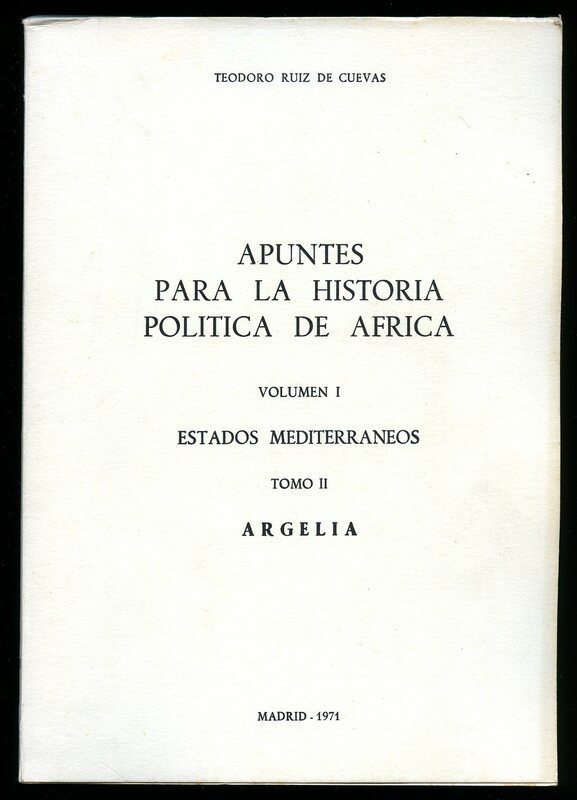 Published Ministerio de Asuntos Exteriores, Dirección General de Relaciones Culturales, Madrid 1971. Madrid 1971. Publisher's original plain ivory white card wrap covers, black title and author lettering to the spine and the upper panel. 8vo. 9½'' x 7''. Contains 248 printed pages of Spanish text. Without any tears or marks to the covers and in Very Good clean and square condition, no dust wrapper as published. We currently hold in stock 15 other titles from this series. Member of the P.B.F.A. Published by Chatto and Windus, London First Edition 1946. London 1946. First edition hard back binding in publisher's original pale blue cloth covers, gilt title and author lettering to the spine. 8vo. 7½'' x 5¼''. Contains 122 printed pages of text with monochrome diagrams throughout, three fold-out maps, illustrated front piece and rear of the dust wrapper only loosely enclosed . 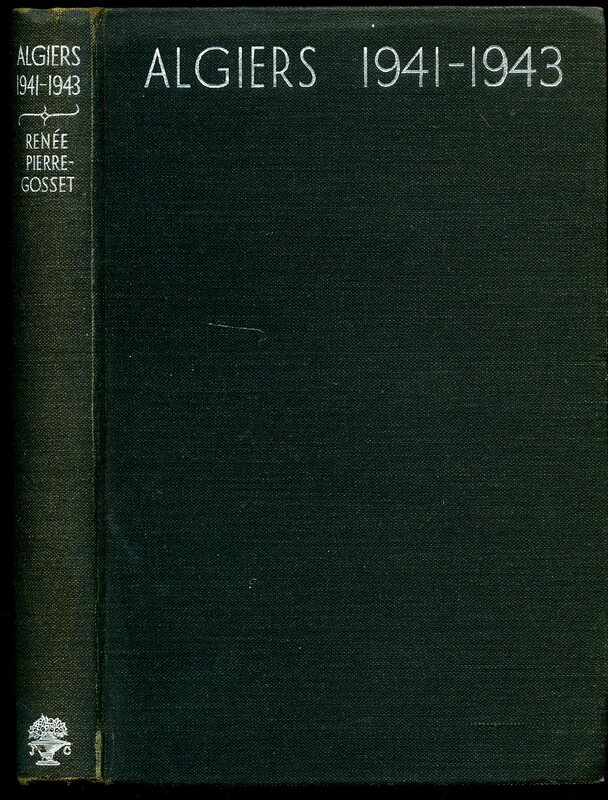 Sun bleaching to the blue of the spine and head of the upper panel, black ink stamp to the front paste down, tape traces to the end papers and in near Very Good condition, no dust wrapper. Member of the P.B.F.A. 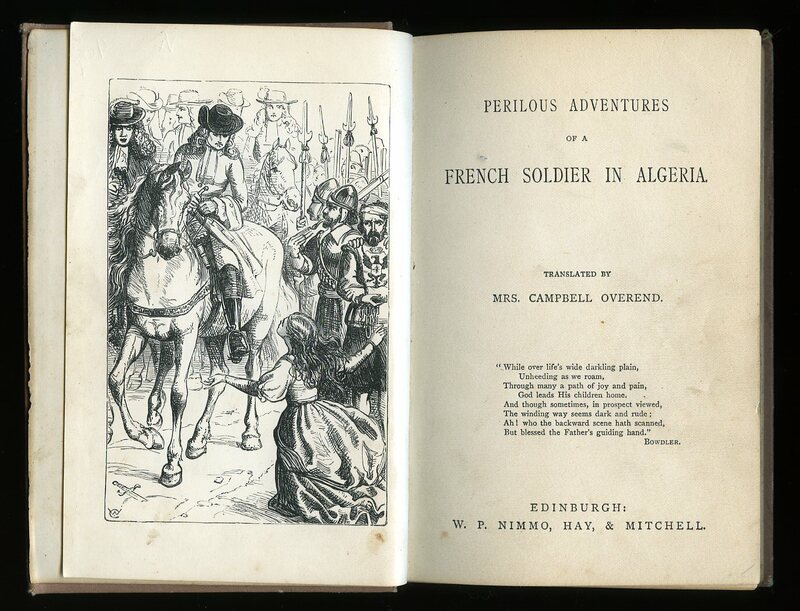 Published by W. P. Nimmo, Hay, & Mitchell, Edinburgh 1884. 1884. Hard back binding in publisher's original light brown cloth covers, gilt lettering and floral illustration to the spine and the upper panel. 8vo 6½'' x 4¼'' 98 pp. Monochrome illustrations throughout. While the covers are secure to the text, paper gutters are torn, snagging of the cloth across spine tips, message and small label to the verso of the frontispiece. Member of the P.B.F.A. Published by J. W. Arrowsmith, 11 Quay Street, Bristol First Edition 1924. 1924. 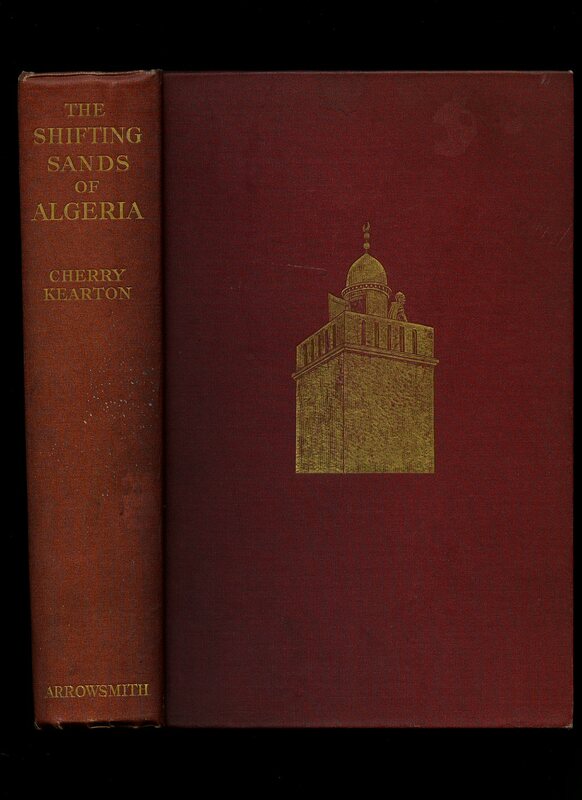 First edition hard back binding in publisher's original burgundy cloth covers, gilt lettering to the spine, gilt mosque to the upper panel. 8vo 9½'' x 6¼'' 307 pp. Many monochrome illustrations throughout. Small name to the front end paper, light foxing to the end papers and page edges, small surface mark to the spine and in Very Good sound and firm condition, no dust wrapper. Member of the P.B.F.A. Published by Jonathan Cape 30 Bedford Square, London First Edition 1945. London 1945. 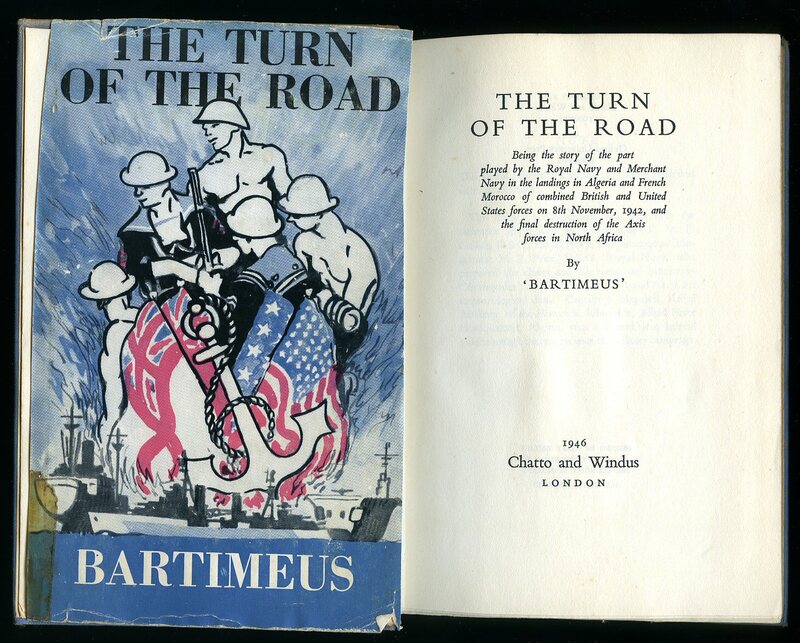 First edition hard back binding in publisher's original black cloth covers, silver title and author lettering to the spine and to the upper panel, black dyed upper edges. 8vo. 9'' x 6''. Contains 260 printed pages of text. A little sun fading to the upper edges, rubs to the spine tips and corners, war economy standard paper and in near Very Good condition, no dust wrapper. Member of the P.B.F.A.